Nestled in a basin at the base of the foothills of the Selkirk Mountains overlooking Lake Pend Oreille, Schweitzer Mountain offers 2900 acres of lift accessible in-bounds terrain. Averaging an annual snowfall of 300 inches, Schweitzer’s 92 designated trails include two open bowls - Schweitzer Bowl and Outback Bowl. 10% of the terrain is beginner, 40% intermediate, 35% advanced and 15% is expert. 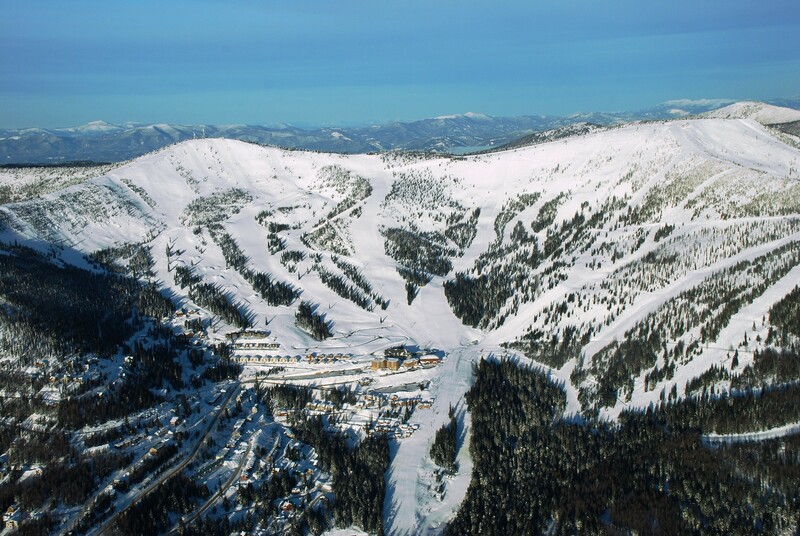 Accommodating every level of skier and rider, Schweitzer also has an open gate policy for access to out-of-bounds terrain that spans over 200 additional miles of the Selkirk Mountains. Skier/Rider danger exists beware – The limitless sidecountry and backcountry terrain spans across the Idaho panhandle, eastern Washington and southeastern British Columbia. A variety of restaurants, cafeteria, lounges, daycare, deli/grocery, retail shop, gift shop, ski shop, children's programs, spectacular views. Ski and snowboard rental, ski repair. Ski and snowboard lessons and special instruction in powder, telemark, cross country, children showboarding, Kidscamp day camp, and kid's race course. First aid at area and Bonner Hospital 11 miles away. Professional ski patrol.